A few weeks ago, I started to really participate on Instagram. I’ve had an account for AGES but only used it to alter my photos. I didn’t even realize you could follow people and see their timelines through your phone until late last year. Yes, I am slow to understand things. Forgive me. Well, now I have to say… it’s my FAVORITE social media tool. I don’t have time to read 500 blogs or to catch up with 500 friends. Instead, I just scan through my Instagram account and see a snapshot of everyone’s lives. It’s so AWESOME.. I’m so happy I started to contribute to this community. Hipstagram is the BEST photo app made to date. BUT you have to play around with film and lens options. It doesn’t work like Instagram where you first take the picture and then alter it to make it pretty. With Hipstagram, you select your lens and film and then take the picture. And depending on which combo you choose determines what the image will look like. And that image cannot CHANGE. So, if you take a pic but you accidentally choose black and white film for the shot -there is NO TURNING BACK. Lots of pressure. But believe me — it’s so worth it. IT IS SO WORTH IT. I have to seriously spend some time learning some go-to combos and just sticking with them. 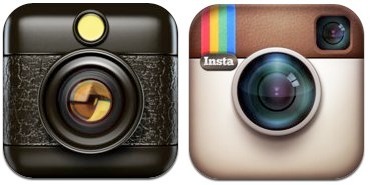 Do you use either Instagram or Hipstagram? Which is your favorite? ?